One minute you’re out enjoying yourself on a joy ride, and the next you find yourself pulled over with a flat tire. While there is no way to predict problems like these, there are a few ways to prepare for them. 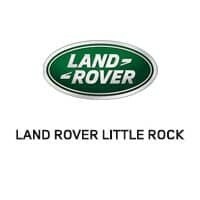 When buying or leasing a new Land Rover, shoppers in Little Rock near Conway have the ability to take advantage of the Road Hazard Tire & Wheel Protection Plan. This plan allows motorists to repair or replace tires that have been damaged by Road Hazards such as debris or road conditions. While cosmetic or structural damage to tires that has been caused by collisions with curbs or abnormal wear and tear are not covered, wheels are protected in many other ways. Our Land Rover finance center in Little Rock service Conway is here to make sure each driver cruises with confidence, not having to worry about their tires and the cost to replace them. Featuring a Standard and Deluxe plan, shoppers get to choose the option they believe will serve them the best. Everybody is different, which is why we give each customer many different options. Potential-buyers can also opt for Optional Towing and Roadside Assistance, making sure they never feel alone out on the road. To learn more about our Road Hazard Plans feel free to contact Land Rover Little Rock by calling us at (833) 664-6127.